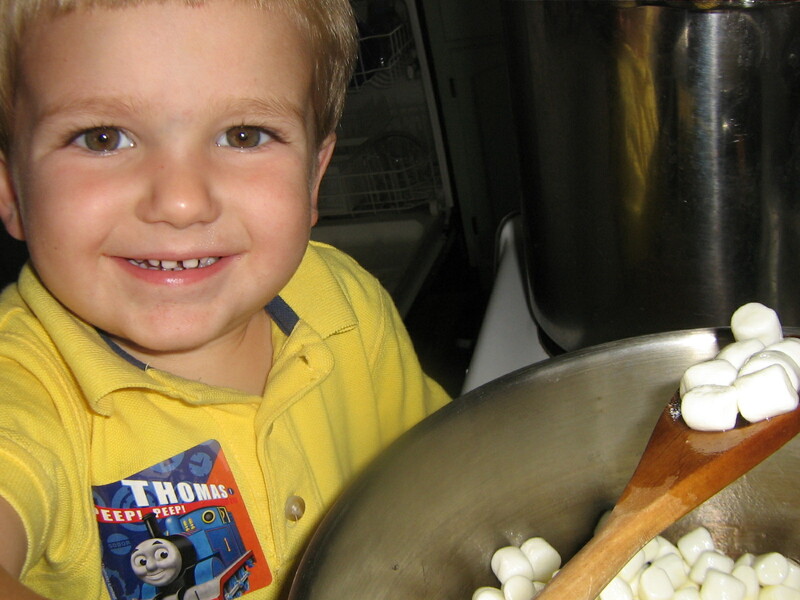 Calvin had a great time making rice krispies with the leftover marshmallows from his brother’s birthday party. We ate them in less than 24 hours! I think we should make this easy dessert/ snack more often. 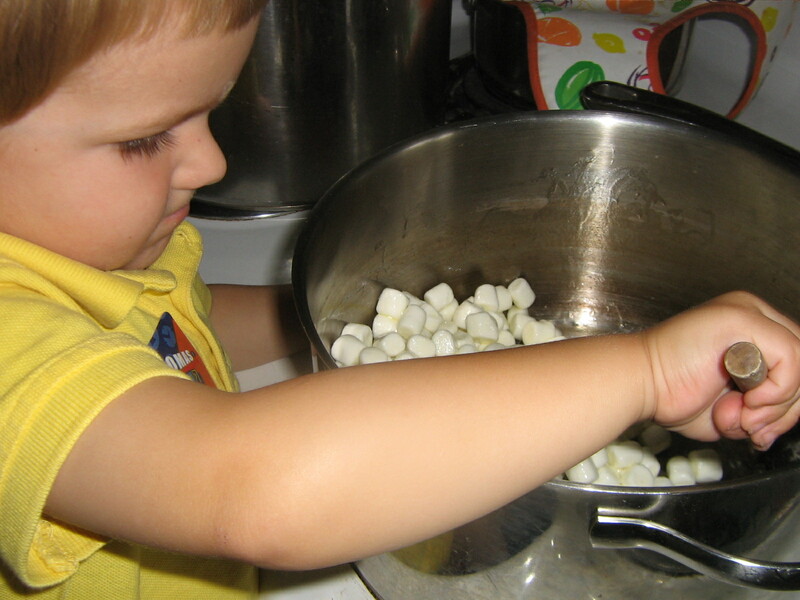 Calvin helping stir the marshmallows. Pretending the spoon is a digger picking up marshmallows and dumping them.